Arrived home on Friday night with an hour to spare before heading out to see the Christmas lights switched on at our local park. Waiting for me another box of delicious vegetables from Epicurean Supplies and lots of greens. So something quick and easy was called for and pasta always works for me. 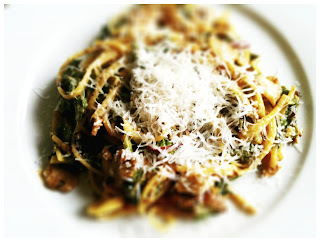 It is just so versatile with whatever is lurking in the fridge and I always have an assortment of pasta in the pantry. So in the fridge some swiss chard needing used, a little bacon (bacon makes almost everything better)and some sour cream. In the pantry some chilli flakes and some quinoa (keen-wa!!) pasta I have been meaning to try for some time. I love pasta, love the texture, the flavour, the bite, so I have never been a fan of gluten free pasta. The one time I tried it, granted many moons a go, so things may well have improved since then, it just turned to mush and put me off forever, it was the antithesis to what good pasta should be. I had heard or read somewhere that quinoa pasta was both gluten free and still retained everything I love about pasta so on Friday I finally got round to giving it a go. And yes I was pleasantly surprised. Looked like pasta, tasted like pasta and had that little bit of bite. Very good news for those that love pasta but can't do gluten. And quinoa is so good for you too! Quinoa: Quinoa (pronounced keen-wa) is an ancient grain that came originally from the Andes Mountains of South America and, along with potatoes and corn, was one of the staples of the Inca civilisation. It was known as the “mother grain” because of its high protein content: 16.2 per cent compared with 14 per cent for wheat and 7.5 per cent for rice. Because it’s so nutritious, quinoa is ideal for vegetarians and an absolute blessing for those with wheat and gluten intolerances. Many people are unaware of its existence and if you haven’t tried it before, you’re in for a treat. The texture is somewhat chewy, a bit like barley, and it has a lovely nutty flavour. An added bonus is that it feels light in your stomach and is easy to digest. 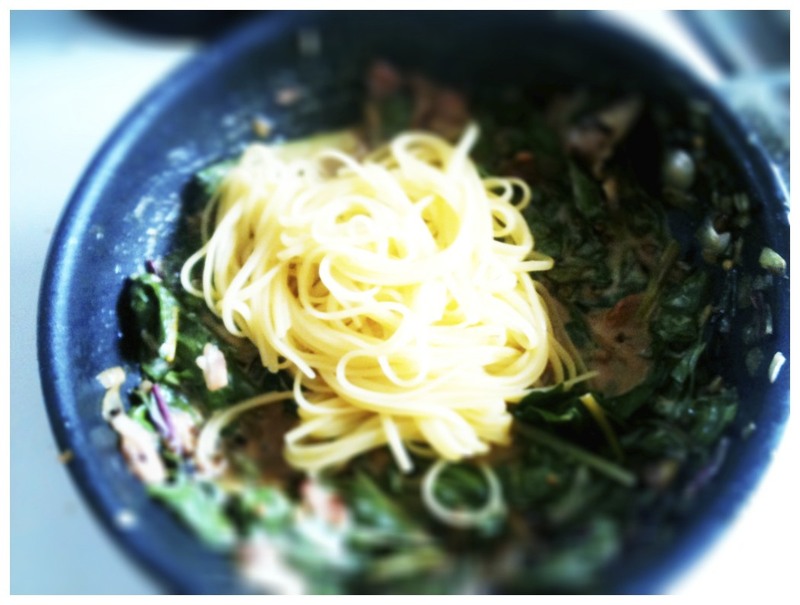 Thought I can work with that so here you go Linguine with Chilli, Bacon and Greens. Seriously ready in under 15 minutes and quite delicious. 3-4 rashers bacon, chopped, I used Harmony bacon, local free range bacon, and if you prefer a vegetarian option just leave out the bacon, you could replace with some chopped mushrooms. Bunch swiss chard, roughly chopped, you could also use spinach, kale, silver beet or cavalo nero, any greens really. 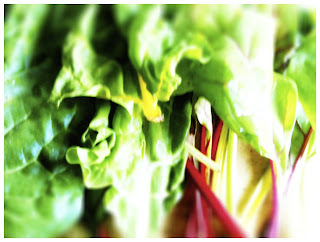 If using swiss chard don't discard the stalks just chop them finely, gorgeous colours and they give a little texture too. 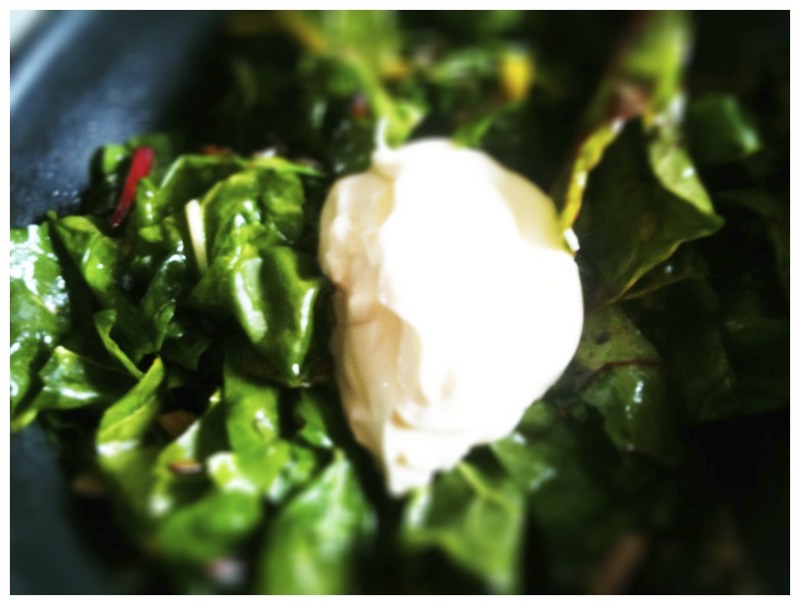 Dollop sour cream, creme fraiche or cream would also work. Pasta for 2 cooked to packet instructions, or I always do a little bit less and make sure to salt the water really well. I used quinoa linguine. Put the pasta on to cook in the boiling, salted water as per packet instructions. 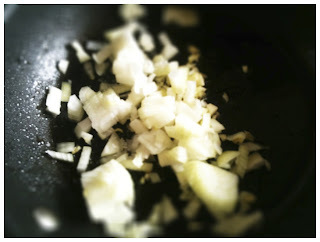 Heat the olive oil in a frying pan over a medium heat and add the onion and garlic, season with a little slat and pepper. 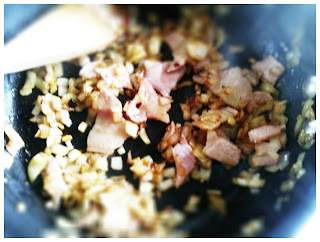 Saute for a few moments then add the chilli flakes and bacon. Fry until the bacon become crisply and then add in the swiss chard or whatever greens you are using. Mix everything together to coat the greens. Cook for a few more minutes until the greens are just cooked through. Add in a good dollop of sour cream and stir it all together. Once the pasta is cooked add it on to the sauce so that it can absorb all the flavours. Give it a good toss around to mix everything together. Taste and season if need be. Plate up, sprinkle with some fresh Parmesan and a little fresh ground black pepper and dinner is served. The greens, the crispy bacon, a little hit of chilli, perfectly cooked pasted all brought together with a little sour cream, which makes it all feel more luxurious than it really is. A great quick supper if you are in a hurry. And the Christmas lights were wonderful. A beautiful evening to get everyone in to the Christmas spirit. yum! 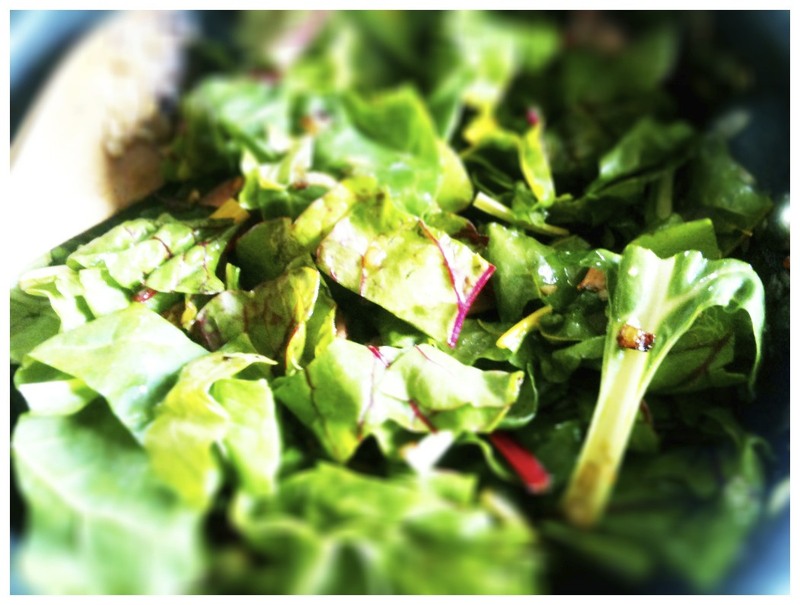 love the idea of putting chard with pasta - hadn't ever occurred to me! quinoa is amazing, and the grains are a really great substitute for couscous too i think - especially in a salad. magic stuff! I have been so good about not buying bacon for years, now you go and post this and I think I will have to get some to try this recipe. Thanks for sharing. You make it look so simple to create something wonderful.